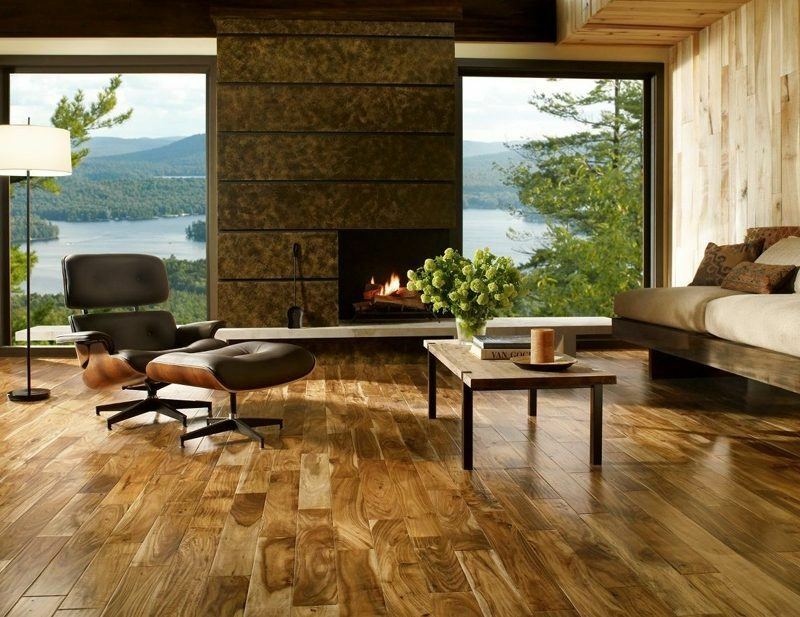 If you want to make your home look great and give you the feeling of warmth, then wood is the best way for it. 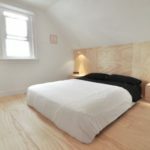 Comparing to stone or slate flooring, the wood floor increases the value of the apartment. The amount of materials offered to consumers today amaze. Your choice can be limited only by your own fantasy and personal preference regarding the style of the room. You can put it in every room, except kitchen and bathroom. The reason is the bigger amount of moisture peculiar to these places. Sometimes people prefer to stain it in dozens of shades, but you can as well think about the option of leaving wood unstained. Floor wood colors of cherry and walnut trees will be deep and rich even without staining. 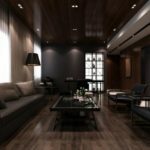 After choosing the material, its time to think about the finishing options. Choosing pre finished wood will save you a lot of time, but at the same time it is more expensive comparing to other options. Of course if you want to save some money, you will have to finish it after the installing, which will take you several days. During these days you will need to sand it, stain it, urethane it. The more time you spend and efforts you make, the better your ground will be protected. 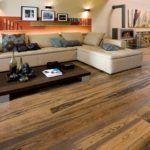 Reclaimed flooring is another great option. Maybe, the biggest benefit of this option is that it will not show scratches as soon as first two options. 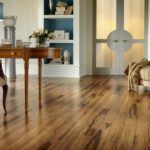 Best wood for floor is not so easy to choose, especially if you do not want to significantly harm your pocket. Laminate is a great variant. It resembles real wood so it is almost impossible to find any differences. 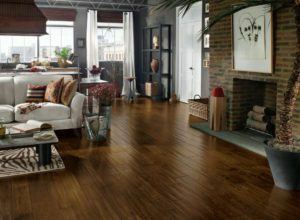 Quality of this product is really high and the price is low, comparing to hardwoods. 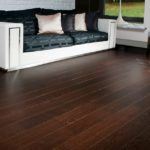 Deciding to make wood flooring in the house, remember that its long life can be ensured only by a proper care. 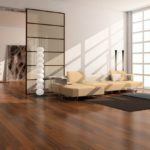 It doesn’t matter if you choose exotic wood floor or bamboo ones, the rules you will have to follow are almost the same. Regular sweeping is a must. Sweep and vacuum at least one time in couple days. Thus, dirt and grit that scratches the floor will be kept to a minimum. In order to prevent the dirt from your house, put the mat at the entrance, so you and your guests could wipe their feet. When you need to clean the floor use almost dry mop. Water can damage it seeping between the slats. Such occasions, if repeated, usually damage the surface of the flooring, water may get under the floor or cause its warping. You will not like the result. 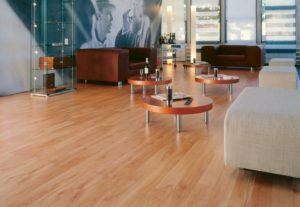 It concerns not only laminated floors, but the most expensive types of hardwood floors as well. In general, any decision about the house and renovations in it must be thoroughly thought in the family circle. Thus, you will not only be sure that the final result will please all its members, but that no options were missed. Thank you, I have recently been looking for information apreaximotply this topic for a while and yours is the best I have discovered till now. But, what in regards to the bottom line? Are you positive in regards to the source? I’ve been browsing online greater than three hours nowadays, yet I by no means found any attention-grabbing article like yours. It is beautiful worth sufficient for me. In my opinion, if all web owners and bloggers made good content material as you did, the web will probably be a lot more useful than ever before. I’ve been surfing online greater than 3 hours as of late, but I never found any fascinating article like yours. It’s beautiful price sufficient for me. In my view, if all web owners and bloggers made good content as you did, the net can be a lot more helpful than ever before. tips. Maybe you can write next articles referring to this article. I desire to read more things about it! on the subject of my presentation focus, which i will deliver in university. Specifically where are the contact info though? did, the internet will probably be considerably more useful than before. Please keep us up to date similar to this. A fascinating discussion is certainly worth comment. mention these topics. To another! Kind regards! !